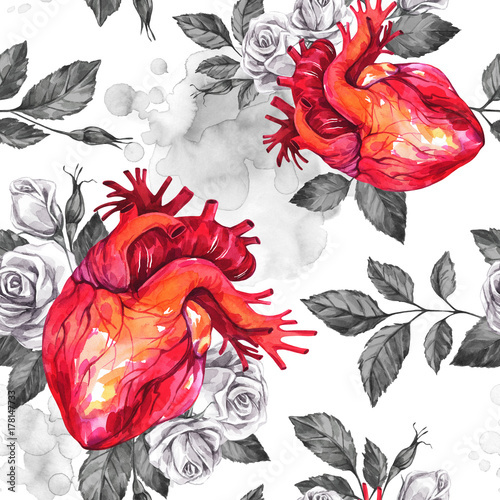 Watercolor seamless pattern, anatomic hearts with sketches of roses and leaves in vintage medieval style. Valentines day illustration. Tattoo art symbol of love. Gothic. Can be use in holiday design.